Chattanooga's impressive publicly owned FTTH network can take credit for yet more jobs being created in the community, following an announcement last month from HomeServe, a call center that wants to keep jobs in the United States. "When a HomeServe customer is in need of assistance, we want them to have the convenience and reassurance of being assisted by a representative based here in the United States," Jonathan King, chief executive for HomeServe, said in a statement. "We decided on Chattanooga because of the availability of high-quality employees combined with the robust telecommunications and data infrastructure available in the area." As we predicted, Time Warner Cable is pushing a new bill in North Carolina to limit competition and local authority to build broadband networks (Save NC Broadband is alive again). H129 purports to be An Act to Protect Jobs and Investment By Regulating Local Government Competition with Private Business - [download a PDF of the bill as introduced]. This bill is another example of state legislators refusing to allow communities to make their own decisions -- imposing a one-size-fits-all policy on communities ranging from the metro area of Charlotte to small communities on the coast and in the mountains. Many of the provisions in this bill apply tough constraints on the public sector that are not applied to incumbent providers, but this analysis focuses only on a few. There is no support anywhere in this bill to explain what the impact of community networks is on jobs. Nothing whatsoever. There is a claim that "the communications industry is an industry of economic growth and job creation," but ignores the modern reality that that the communications industry goes far beyond the private sector. In fact, the recent history of massive telecommunications providers is one of consolidation and layoffs. It is the small community owned networks that create jobs; larger firms are more likely to offshore or simply cut jobs. A few weeks ago, the Herald Tribune ran a number of articles about broadband by Michael Pollick and Doug Sword that discussed some community fiber networks and efforts by Counties in Florida to build their own fiber-optic networks. The first, "Martin County opting to put lines place," covers the familiar story of a local government that decides to stop getting fleeced by an incumbent (in this case, Comcast) and instead build their own network to ensure higher capacity at lower prices and often much greater reliability. "We decided for the kind of money these people are asking us, we would be better off doing this on our own," said Kevin Kryzda, the county's chief information officer. "That is different from anybody else. And then we said we would like to do a loose association to provide broadband to the community while we are spending the money to build this network anyway. That was unique, too." The new project will use a contractor to build a fiber network throughout the county and a tiny rural phone company willing to foot part of the bill in return for permission to use the network to grab customers of broadband service. The combined public-private network would not only connect the sheriff's office, county administration, schools and hospitals, but also would use existing rights of ways along major highways to run through Martin's commercial corridors. Michael Pollick correctly notes that Florida is one of the 18 states that preempt local authority to build broadband maps. 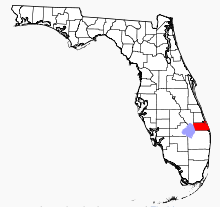 However, they incorrectly believe that Martin County is unique in its approach. As we have covered in the past, a number of counties are building various types of broadband networks. This is also not the first time we have seen a local government decided to build a broadband network after it saw a potential employer choose a different community because of the difference in broadband access. Carroll County, Maryland, has announced a partnership with the Maryland Broadband Cooperative to bring fiber-optic broadband to area businesses that have been neglected by incumbent providers. The county brought the broadband cooperative in to lease out unused fiber on the county’s 110-mile network, which it built over the past two years. The cooperative will connect business customers with its own members, which include various sizes of Internet service providers that can link the businesses to the network. Prices will vary depending on the service provider and location of the business. The Carroll County Times offers greater coverage in a story by Marc Shapiro. The County's $9 million network is financed in part with cost savings from transitioning away from $600/month T1 lines and is the result of many years of work. Remember that a T1 offers 1.5 Mbps of connectivity, the new fiber network likely offers 100Mbps to 1Gbps today and is capable of offering much greater capacity in the future. Building these networks is a far smarter move than leasing T1 lines. Every county school, every major county facility and Carroll Community College is on broadband Internet, said Mark Ripper, chief information officer with the Carroll County Department of Technology Services. All county facilities and libraries and the board of education will have broadband Internet shortly, he said. The Maryland Broadband Cooperative, a public/private partnership that promotes economic development through technological infrastructure, will lease the "dark fiber," unused fiber, to its member companies, who can in turn sell Internet service to local businesses. The MDBC has 59 members, about 30 of which are Internet providers, said Patrick Mitchell, president and CEO of the MDBC. This is a follow-up to my coverage of Chattanooga's 1Gbps announcement and press around it. Firstly, I have to admit I was simultaneously frustrated and amused by reactions to the $350/month price tag for the 1Gbps service, like Russell Nicols' "Chattanooga, Tenn,. Gets Pricey 1 Gbps Broadband." I encourage everyone to call their ISP to ask what 1Gbps would cost. If you get a sales person who knows what 1Gbps is, you will probably get a hearty laugh. These services are rarely available in our communities… and when they are, the cost is measured by thousands to tens of thousands. Chattanooga's offering, though clearly out of the league most of us are willing to pay for residential connections, is quite a deal. The reaction that it is pricey blows my mind… at $350 for 1Gbps, one is paying $.35 for each megabit. I pay Comcast something like $4.5 for each megabit down and $35 for each megabit up (I actually pay more as I rarely get the speeds advertised). Make no mistake, Chattanooga's 1Gbps is very modestly priced. And I would not expect many communities to duplicate it. Chattanooga has some unique circumstances that allow it to create this deal; the fact that other community fiber networks around the country cannot match it should not be taken as a knock against them. Ultimately, communities must do what is best for them, not merely try to steal the thunder as the best network in the nation. But for the folks who have the best network in the nation, I get the idea they have enjoyed the vast coverage of their creation. The Chattanooga Times Free Press ran a lengthy story titled "Fastest on the web." "We can never overestimate the amount of bandwidth that will be needed in the future," said jon Kinsey, a Chattanooga developer and former mayor who is working with local entrepreneurs to study ways to capitalize on the faster broadband service. "What EPB has set up gives us an opportunity as a community to get into a whole new realm of business growth." Bristol Virginia is again expanding broadband access in rural Virginia. Following a $22.7 million BTOP (broadband stimulus) grant and matching $5.7 million grant from the Virginia Tobacco Commission, in combination with in-kind contributions from the Virginia Department of Transportation, BVU will greatly expand middle-mile broadband throughout 8 counties in Southwest Virginia. The project is expected to take 2.5 years to complete. Boucher said the original broadband line deployed across the region several years ago has already helped to create a number of new jobs, including 137 new virtual call center jobs that have been created in the region by DirectTV, and another 700 plus jobs that have been created by the Northrop Grumman and CGI technology centers in Lebanon. Read BVU's press release on the grant award [pdf]. Though BVU is expanding middle mile access, it cannot offer last-mile services in most of these communities. Virginia law prevents BVU from offering some services outside its existing footprint - a policy that is great for telco profits but terrible for people that actually want modern telecom services. In January 2001, or about 1 million years ago in tech time, Site Selection Online published "Wired Cities: Working-Class Communities Build Next Frontier of High-Speed Connectivity". I found it years ago when reading up on the Click! network in Tacoma, Washington. I recently stumbled across it again and thought it might be interesting to evaluate its claims after a decade (or close to it) had passed. The lead of the article discusses Tacoma its relationship to Seattle. Tacoma had extremely poor connectivity from the private sector and its public power utility decided to build an HFC network to extend broadband to everyone in the community. Tacoma's Mayor notes that over 100 companies poured in after the community solved its own broadband problems - generating some 700 jobs in 18 months. As a result, the next frontier of information companies isn't being confined to the Silicon Valleys of the world. It's taking root where you might least expect it: in places like Tacoma, LaGrange, Ga., and Blacksburg, Va.. And in most cases, it's government taking the lead, beating business to the punch by stringing fiber and building networks in working-class communities that most bottom-line corporations would otherwise ignore. The principle of self-reliance is timeless. And we see the same idea in news articles today: local governments bringing broadband to areas the private sector cannot. In 2010, the fastest and more affordable broadband networks in the US are not in Silicon Valley -- they are in Lafayette, Chattanooga, Wilson, Utah, and other places where the community decided to prioritize big broadband. I have Comcast in Tacoma and all I know is since there is competition down here Comcast is about half the cost as it is in Seattle. They give you a rate good for a year. When your year is up you call up and just say Click! and bam back down you go. A friend in Seattle once called Comcast with both of our bills with similar service and mentioned my price and they said I must live in Tacoma and they wouldn't match the price. A 2007 video from Chattanooga's Electric Power Board explaining the benefits of publicly owned fiber-optic infrastructure. Danville's open services fiber-optic network has brought a new employer with some 160 jobs to town. EcomNets is investing almost $2 million to build a green data center to the area. More jobs may be on the horizon as the White Mill renovation continues and should be finished in coming month (original coverage here and here). Though the public power utility owns this network, it does not offer services. The network, which currently services municipal locations, schools, and some 75 businesses with Internet access, leaves independent providers to provide the actual services. They welcome major carriers like Comcast and Verizon, who have thus far refused to use open access networks to expand their customer base. Currently, the network has a single service provider, though the utility has spoken with others and expects more service providers to join the network when it begins making residential connections. As for when it will begin offering residential access, the City Council will discuss that on July 6 in a work session. The Utility has recommended the City start the next phase, servicing some 2,000-3,000 homes. It's fast and it's symmetrical. Chattanooga, the nation's largest muni FTTH network will be offering the fastest residential package in the country by the end of the month: 150 Mbps. Chattanooga's Electric Power Board (EPB) is ahead of schedule in the fiber rollout, planning to offer triple-play services to all 145,000 residential customers in its electrical territory by the end of the year. Dave Flessner at the Chattanooga Times Free Press covered this story and the paper posted a short audio clip of EPB President Harold DePriest at the press conference. EPBFi is up to almost 10,000 customers, a number expected to double by the end of the year. Comcast Corp. remains Chattanooga's biggest video provider and has also increased the speed of its Internet offerings and the number of high-definition television channels and movies it provides for its subscribers. Hamilton County Mayor Claude Ramsey likened EPB's broadband expansions to what the Tennessee Valley Authority brought to the region during the Great Depression. "What is happening today is equivalent to electricity coming to the valley in the 1930s," he said. I'm guessing this 150Mbps plan is the first of more impressive announcements to come out of Chattanooga as they take advantage of this key community asset. The 150 Mbps press release is available here. The article also noted a major economic development win in Bristol Tennessee - a $20 million newspaper printing plant that would not have been possible without their muni network. This testimonial is located toward the bottom of the page. This is not a new idea. The concept of common carriage is ancient in culture. It is deeply embedded in common law. It goes back almost two thousand years. Net neutrality is simply common carriage for the 21st century. It is the same idea we had in the 18th- century turnpikes. We fought it over canals. We fought it over railroads and we fought it over public roads when public roads were first beginning. To me, that's fundamental and it's a fundamental reason why the towns in Vermont wanted to do and do it as a public activity.